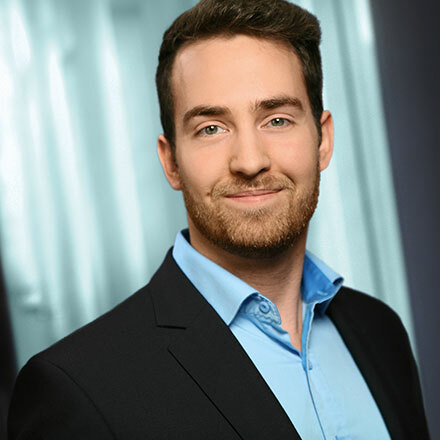 Florian von Stosch würde gerne dabei helfen, das Alltagsleben trotz Digitalisierung wieder in der Realität zu verankern - durch greifbare Interaktionsformen und Augmented Reality. An der Uni Hamburg hat er den Master in Informatik gemacht und ist bei der WPS als Softwareentwickler und Berater tätig. Im Moment interessiert er sich u.a. für DevOps und Continuous Delivery, die praktische Umsetzung von Softwarearchitektur und agile Entwicklung mit C# und Java. Florian von Stosch would like to help anchoring everyday life in spite of the digitalisation - through tangible forms of interaction and augmented reality. At the University of Hamburg, he has a masters degree in computer science and is a software developer and consultant at WPS. At the moment he is especially interested in DevOps and Continuous Delivery, the practical implementation of software architecture, and agile development with C# and Java.